Opponents of high-speed rail contend that it’s a boondoggle because of its $68 billion pricetag. But a recent UC Berkeley study provides evidence that a California bullet train might be a good investment, particularly when it comes to reducing greenhouse gases and fighting climate change. The study, published recently in the journalEnvironmental Research Letters, was the result of two years of research by UC Berkeley civil and environmental engineering professor Arpad Horvath and Mikhail Chester, professor at Arizona State University’s School of Sustainable Engineering and The Built Environment. 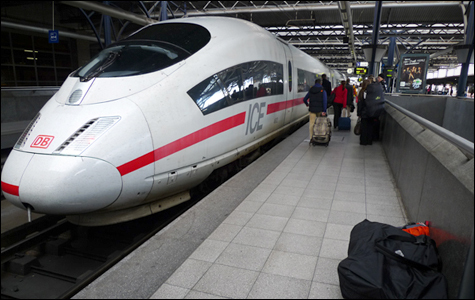 The study analyzed the environmental sustainability of a high-speed rail network compared to flying and driving. The authors concluded that the high-speed rail system, when it’s completed, will consume less energy and emit fewer greenhouse gases and less pollution than autos or planes, even after accounting for future improvements in auto and airplane fuel efficiency and cleaner, greener technology.